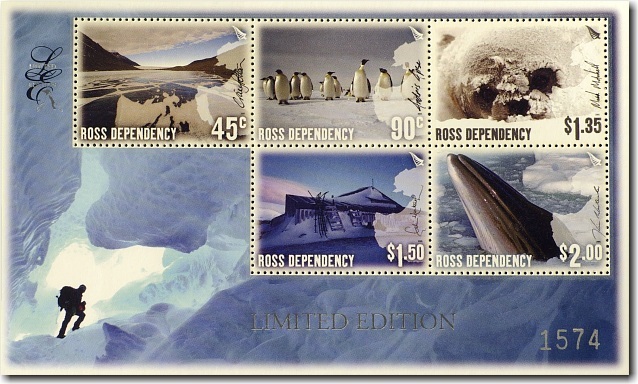 Virtual New Zealand Stamps: 2005 Ross Dependency Through the Lens. Antarctica is well known as one of the most starkly desolate places on earth – a vastly inhospitable expanse of land permanently cloaked in ice. Yet for all its frozen isolation, the continent’s landscapes and wildlife are also breathtakingly beautiful, inspiring some of New Zealand’s greatest photographers to create some of their finest works. 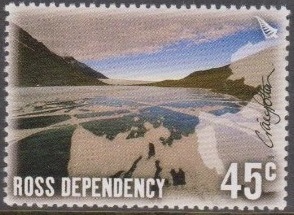 In 2005, New Zealand Post invited five professional photographers to submit their personal favourites of the Ross Dependency – and the results are simply stunning. 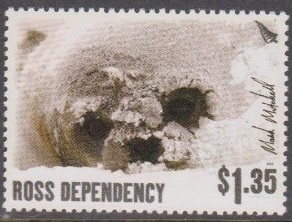 That was how NZ Post described this issue but I have to admit that personally, I was disappointed with the stamps. 45c - Craig Potton / Dry Valleys. Lake Chad, which renowned New Zealand photographer Craig Potton captured on a visit to the Dry Valleys in 2002, is one of his favourite photographers. It shows the exquisite contrast between the glacial, frozen lake and the startling blue night sky. 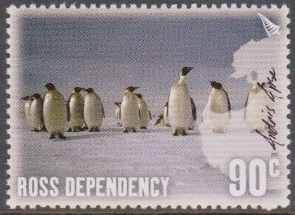 90c - Andris Apse / Emperor Penguins. The animal residents of Antarctica include the Emperor penguins (Aptenodytes forsten) – photographed here standing tall by Andris Apse. Standing more than one meter tall, they and another 16 species of penguin dominate the continent’s bird life, making up more than 85% of its bird population. $1.35 - Mark Mitchell / Fur Seal. Mark Mitchell spent 12 days in Antarctica in 2003 – an experience that included the opportunity to photograph the delightful Antarctic fur seal (Arctocephaulus gazelle). Once seriously endangered because of the international trade in fur seal pelts, the species have made a remarkable comeback. $1.50 - Colin Monteath / Captain Scott's Hut. 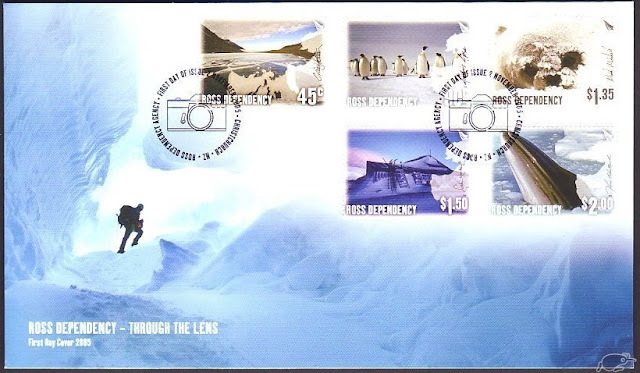 Mountaineer, photographer and writer, Colin Monteath has spent 27 summers in Antarctica. 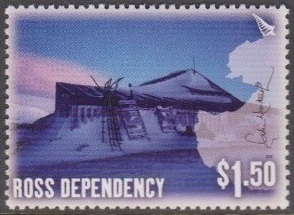 His photograph depicts one of Antarctica’s most famous landmarks – the 14.6 x 7.3 metre hut was brought to the continent by explorer Captain Robert F Scott. 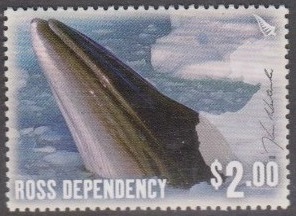 $2.00 - Kim Westerskov / Minke Whale. Kim Westerskov specialised in the seas and wilderness areas from New Zealand to Antarctica. His photograph of the Antarctic Minke Whale (balaenoptera acutorostrata bonaerensis) is an enticing glimpse of this distinctive and beautiful inhabitant of the world’s most southern waters. I think this is the photo that stands out for me. The way that whale has come bursting up through the ice like that is amazing. First Day Cover - 2nd November, 2005. Including the five stamps and special cancels.